This week HBO plays Disney Plane : Fire and Rescue for the first time. My son who is a huge fan of Dusty is very happy right now. Whenever there is a replay he watch it over and over again. He collect or may I say I bought him die-cast model of Disney Planes character from the original movie, but he doesn't have any of the characters from Fire and Rescue. So I made this for him, and also Blade Ranger also requested by one of Paper Replika Friends on Facebook page. 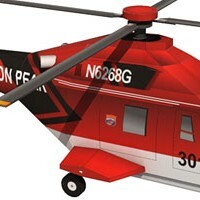 Blade Ranger is a helicopter and a captain of Piston Peak Air Attack, it is a Fire and Rescue squad. He is also a former police officer. Dusty is sent by an old fire truck, I don't remember his name, to meet and to be trained by Blade Ranger to become a certified fireman. This model is requested by one of Paper Replika Friends on Facebook page. This semi truck trailer is from the movie Mad Max : Fury Road (2015), it is called The War Rig. 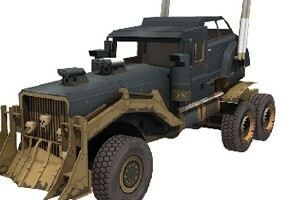 The War Rig is based on a Tatra T815 8x8 truck chassis. For the movie they made 3 sets of trailer with tanker on the set. I choose 1:25 scale because I think it's not too big nor too small, and because of the complexity of the model I divide the templates into 2 parts, the truck head and the tanker. The template consist of 13 pages and use two type of paper, ordinary 100-160 gram plain paper and 2 mm thick cardboard or hardboard. I choose mainly blueish tone for the truck body because actually I don't like making model with all greyish or all black color, because it often turns into greenish tone when printed. I also keep the dirt texture minimal. As I mentioned before, it's easy to convert the Boeing 737-900 series template into any other series. This one is the first 800 series template, I use WestJet livery as requested by Paper Replika friend on the Facebook page. The 800 series is a bit shorter, 39.5 meter (129 ft) compare to 900 series with 42.1 meter in length or 138 ft, and still with the winglets. It has the range of 5,665 km on basic setup and 5,765 km on advance setup (WL). 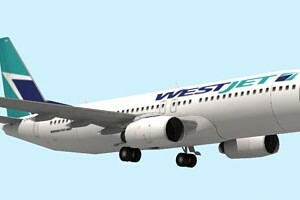 This WestJet operated aircraft has 168 passenger seats, and it has 35 planes of B-737-800. WestJet Airlines is a Canadian low-cost airlines, founded in 1996. Operating about 425 flights per day to 90 destinations in Canada, Unites States, Europe, Mexico, Central America and the Caribbean. After a while finally Cristiano release the part 2 of Igor Iron Man paper model. This template is also colored by Xiao Hui. It contains 18 pages of patterns for both Igor's arms. Igor or Iron Man Mark 38 is a heavy lifting armor suit and it appears in Iron Man 3 movie, when Tony Stark order J.A.R.V.I.S to make "Igor" to hold the crane from tumbling down. Mark 38 is shaped like a hunchback servant from Frankenstein story named Igor, that's why it was named Igor. 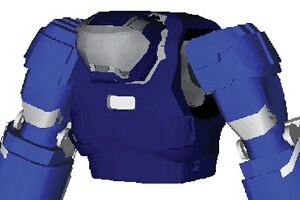 Before the Hulkbuster model 14 armor is made Mark 38 is the most powerful armor suit that Tony Stark ever made. New type of aircraft have been added to Airliner category. There were many request for making Boeing 737 series paper model template. Here it is, a B-737-900 the newest type of B-737 family, it has distinctive high winglets on the end of both wings. 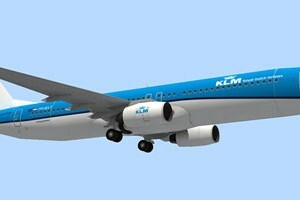 In this first release I use a KLM Royal Dutch Airlines livery, the new one (2015). Boeing 737 is a short to medium range small body commercial airplane, the 900 series can have 220 seats on maximum capacity. With this template, it is easy if I want to modify it into older series like 300 or 800. I plan to release the blank template after this, with added rules if you want to publish your own custom livery on Paper Replika website. The scale is 1 :100, complete model will have about 37 cm or 14.5 inches wingspan.